Any website includes data to be stored. The best solution is MySQL databases. 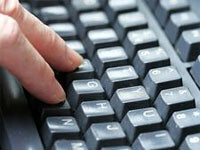 It allows you to add and process data in your databases easily. Used as a relational database management system, MySQL databases store data in various tables that can communicate with one another. Today, web hosting companies offer you plans with unlimited MySQL databases. However, there are websites that require no MySQL databases at all. Let’s try to define which websites need MySQL database hosting and which can work perfectly even without them. Why to Choose MySQL Hosting at All? If your choice is PHP hosting, in most cases to have access to MySQL databases is a must. First of all, MySQL support is necessary when you want to use any content management system such as Joomla, Drupal, Mambo or WordPress. Such content management systems allow you to run a website without editing HTML code. All you need is to install such scripts or choose web hosting plan that offers you these scripts preinstalled. With such content management systems you can add content from an admin area. You just add page title and page content and script using PHP language to store these data in the MySQL database. This data is loaded from MySQL database every time your site visitors open the page. In other words, PHP load the data from MySQL to create a web page for your visitor. The other time you need PHP and MySQL with your hosting plan is forum. You will store all registered usernames, passwords and posts in the database. 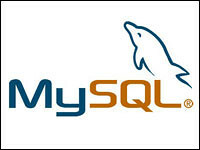 MySQL database also allows your visitors to add and edit messages on your web site. This time you need such open source forum scripts as PhpBB, PunBB or Simple Machines Forum. However, there is also opportunity to allow your visitors to share their opinion without usage of MySQL database. Just use guestbook. Of course, there will be no big discussion, but it is quite enough to post comments, for example. Guestbooks require no MySQL databases. However, storing data in a file, guestbooks are not the best solution because of security reasons. Requiring no installation, guestbooks are popular among beginners in website creation. However, you also can use MySQL driven guestbooks that work as the above mentioned scripts. This solution is more safe but requires some knowledge in PHP script installation. If you are not sure in your skills to use MySQL databases and various scripts mentioned make you little nervous, you need to look for web hosting plan with cPanel control panel provided. This control panel is one of the most popular on the web thanks to its simplicity and user-friendliness. You can install various scripts including content management systems within several clicks. On the whole, point-and-click interface allows you to manage and install various scripts easily. MySQL databases can also be managed with cPanel. You can add, delete, manipulate your MySQL databases easily. If it doesn’t seem to be too easy for you, there are plenty of video tutorials as well as guides how to manage MySQL databases with cPanel. Talking about the number of MySQL databases required, it should be noted that you can use the same MySQL database to store several web sites. Of course, it requires some knowledge to fix necessary settings, but it will save your money. However, the more websites you have, the more data to be stored, the more MySQL databases you need. Anyway, MySQL databases can’t be the most important thing to pay attention to choosing web hosting plan for your project. How can it be possible? Everything is simple. Today web hosting companies offer you numerous hosting packages for different needs. Depending on the size of your project that determine disk space required and number of web sites you want to host, web hosting companies offer you corresponding amount of MySQL databases. Of course, choosing to create 5 small sites, unlimited MySQL databases can be superfluous, but if almost all reliable hosting companies provide you with such plans for the same price, to refuse is not smart.